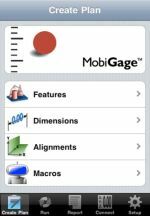 MobiGage NDI, MobiGage is a metrology iPhone application used for the inspection of manufactured parts and assemblies. MobiGage creates, edits, and runs measurement plans and automates inspection processes. 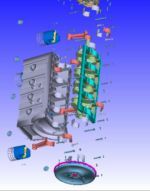 “MobiGage NDI” is an OEM product designed to connect specifically with the Northern Digital (NDI) industrial measurement systems. 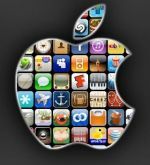 App Cash, is an app for debit & credit card payments directly on your Apple devices. Stylish cashier system for all purposes, place of order via roc4iPhone possible, supported printers: Epson TM-T88IV WLAN, Epson TM-T88V WLAN. VIP Black, Exclusivity, Luxury, Privilege. 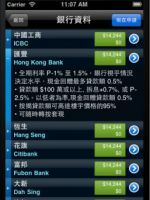 VIP Black, 'The Millionaire's App', is the first and only premium lifestyle application for the iPhone. Members receive 'VIP Treatment' - personalised attention and heightened experiences across the range of luxury partners. vueCAD Pro, Professional "native" CAD viewer. No file translations. 3D visualization and markup. All CAD importers are included. No in-app purchases required. vueCAD® can also be adapted as a customized view component inside any app. Agro, Imagine a world where an agronomist can visit a client, complete an inspection report, hold the sale of products then move to the next client knowing that all paperwork is done and sent by the time they drive out the gate. Intuition Control Solo WolfVision, The first and only iPad application that lets you easily control your WolfVision visualizers! 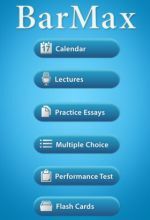 NOW offered to educational institutions at 50 percent off its regular price through the App Store Volume Purchase Program. 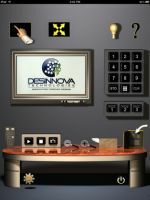 Please contact Desinnova Technologies, Inc.
MortgagePRO, is a mortgage pass and a convenient tool for making money, Finance & Mortgage App in Hong Kong & China. As seen on TVB, ATV & major HK newspapers. I Am Rich, is an iOS application which was formerly distributed using the App Store. When launched, the screen only contains a glowing red gem, and an icon that when pressed, displays the following mantra in large text: I am rich, I deserve it, I am good, healthy & successful. 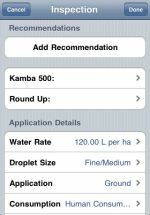 The application was removed from the App Store by Apple without explanation the day following its release, on August 6, 2008. Did you know: Christy Walton tops the list of the wealthiest women in the world for the third time. Walton is worth $26.5 billion. Walton is the widow of Walmart scion John Walton, who died in a plane crash near the couple's Wyoming home in 2005, and hold the most wealth of the seven Walton relatives in this year's rankings. Right behind her is L'Oreal heiress Liliane Bettencourt, who moved up one spot to No. 2 of the richest women whose wealth is calculated at $23.5 billion. L'Oreal, founded by father Eugene Schueller in 1909 boasts 23 global brands including Maybelline, the Body Shop and Lancôme, and employs more than 64,000 people. Following Bettencourt is another wealthy Walton at $21.2 billion. Alice Walton is the daughter of Sam Walton, who with his brother James, started a general store chain in Bentonville, Ark., in 1962. Today Wal-Mart is the world’s largest retailer, controlling more than $405 billion in annual sales. Walton collected roughly $420 million in dividends in 2010 and will rake in even more next year after the retailer raised its annual payouts by 20% starting this March.